Did you just give birth to the most precious little prince of darkness? Was he carried in by a stork straight from Transylvania? Sure, he'll be able to fly on his own soon enough. Just has to learn how to crawl first. You're sure he is a tiny toothless (for now) version of Dracula. He exhibits all the signs. He has to feed off of you to survive. He looks weak, but is freaky strong. And, just look at those mesmerizing eyes. They just pull you in. Every prince of darkness needs to have warmth and security. 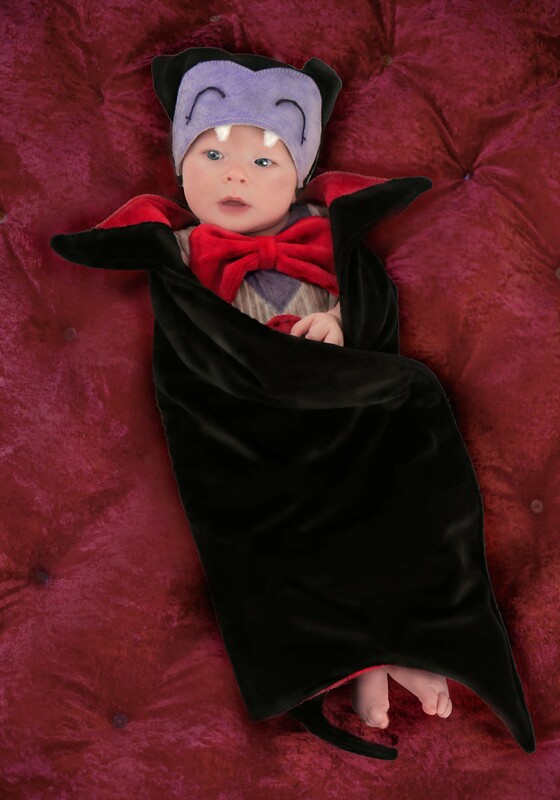 This Infant Drooly Dracula Swaddle is the perfect way to do just that, and show everyone that you now have a little vampire of your own. He might not like it at first, confused about why he can't move his brand new arms and legs. But, he will be safe and warm. Tucked in snug as a blood sucking bug in a rug. Only way cuter. And with less blood sucking. (Hopefully.) 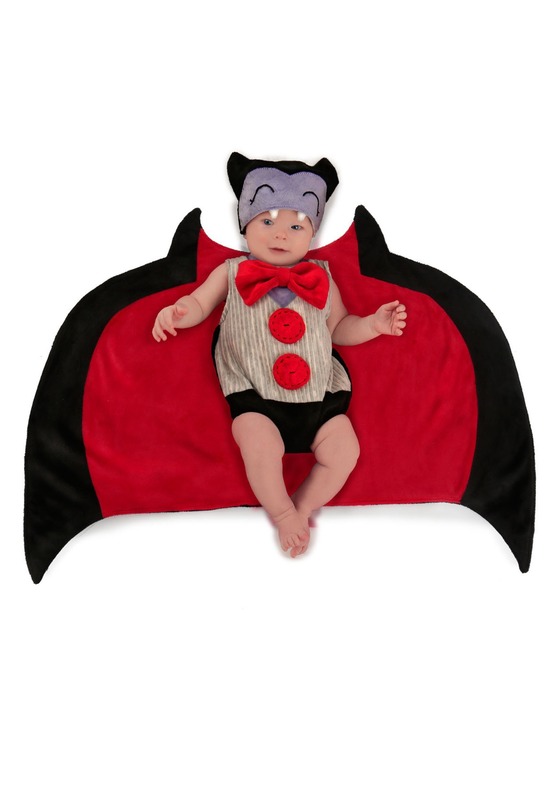 He will be building up his strength, because sooner than you think he will be crawling, then flying like a bat.